Big B Radio KPOP is one of the Best pop radio station in Korea. 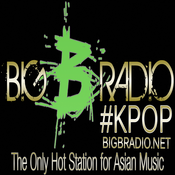 Big B Radio KPOP Channel plays the latest contemporary Korean Pop hits from South Korea. Tune in with regard to continuous K POP music that will connect you with the best in class Korean pop music all day long and will entertain you to the max.